It’s stores like this that keep people propagating. 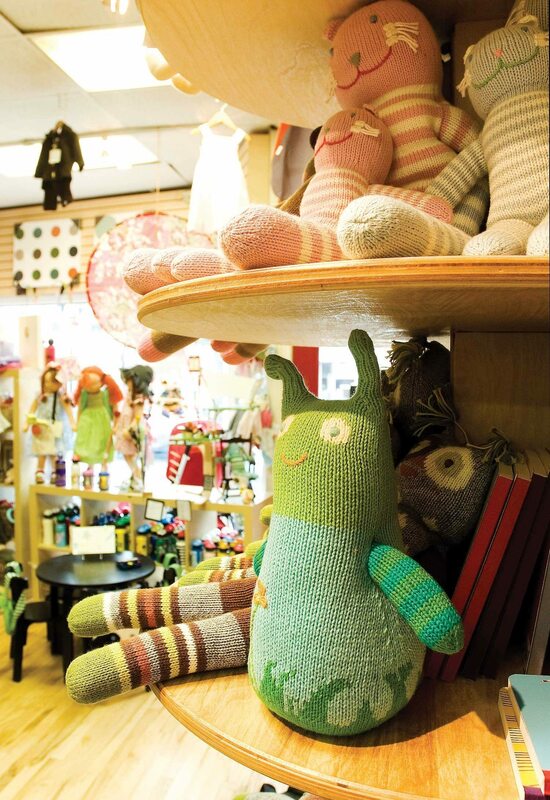 The fun, well-made toys and clothing at 3 Little Monkeys harken back to a time when the playthings of our youth were passed down through generations, shared among siblings, and put in the basement until the next round of offspring. Indeed, the new hobby horses at the Bank Street store trotted all the way from Ireland to delight little ones. Hand-crafted, hand-stained, and hand-painted, these horses are cut from windfall timber in the Leitrim region of Ireland. Yee-haw! The look: cute and crafty. The labels: Petunia Pickle Bottom and Ju-Ju-Be for bags; blabla for dolls; Bugaboo for strollers. Perfect for: kids who play hard and parents who don’t want to replace toys every week. USP: a new location offers more play space; an interactive website invites all to play with their food.